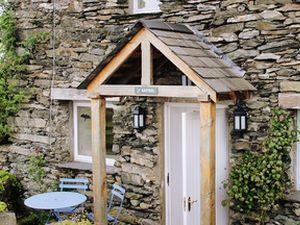 Wall Nook Cottages limits bookings to 3 or more days. 1 large beamed bedroom with bathroom ensuite. Kestrel limits bookings to 3 or more days. 2 double bedrooms - zip & link king size or twins. 2 bathrooms. Pheasant limits bookings to 3 or more days. From Cartmel village - Leave the square to the right of the sticky toffee pudding shop. Pass the racecourse on your left and Cartmel old Grammer on the right. Continue for 1 mile then turn left in Beckside towards 'Speel Bank'. Continue 500 meters to our gate and cattle grid and sign. Stay on the tarmac drive bearing left over a 2nd cattle grid to the house. Would be fair if the right price was advertised, we booked the cottage for me, my wife and disabled child suddenly the price doubled. Sorry but I don’t think that is fair. We did receive a booking request for a week from Mr Nellist. The price he quoted in the request bore no relation to either our daily or weekly rates. 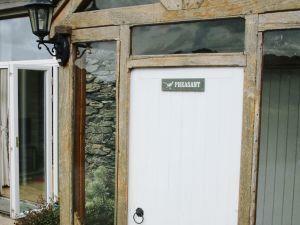 He wanted a 2 bed/2 bath luxury cottage for £180.00 per week. I replied explaining that I had no idea where that figure came from and that obviously, we could not offer it to him. I understand that he seems to have had a difficult time and was sympathetic but that is not a figure that I recognize - I have no idea where it came from.